As first a theoretical physics student and recently an astrophysics PhD student from the university of Oxford, Marisa will break your brain with this podcast. Marisa talks about her work at *SKA (Square Kilometre Array), her work on the centre of our galaxy, space exploration, the space time continuum, street art, coding- as well as collecting data in…space! She also told me a little bit more about the science behind my favourite movie of all time: Interstellar. Her research interests include pulsars, the ionized interstellar medium (IISM), the Galactic Centre as a complex IISM environment and tests of General Relativity. Science communication and the advancement of science awareness in South Africa is of great importance to her. Strap in for this one! 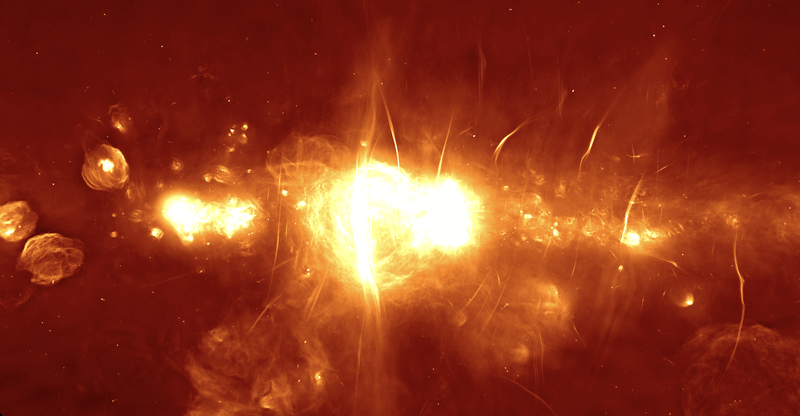 *PS, The clearest image yet of the centre of the Milky Way galaxy has been released from South Africa’s shiny new radio telescope, MeerKAT. This R4.4 billion, 64-dish radio telescope listens to the relatively weak signals from space to help scientists understand what is going on in the far reaches of the universe. It will eventually become part of the Square Kilometre Array (SKA) which will be 50 to 100 times more sensitive than any other radio telescope on earth!